Senior Manager - Onsite Technical Support at Marsh & McLennan Companies, Inc.
Are you a Leader who can mobilize people to perform their best? Have you been recognized for your exemplary leadership skills, innovative approach to problem solving and best-in-class operations management? Showcase your skills in this very visible role where you will provide expert IT advice and consultation, meet regularly with Operating Companies’ leadership, lead and develop a team of colleagues in the Midwest Central region while managing support for all office technologies. If you are interesting in taking your career to a new level where exceptional performance is recognized by career progression, we would like to hear from you. Act as the Senior IT Management within the Chicago Market. Oversee local “projects” such as moves, acquisitions, etc. 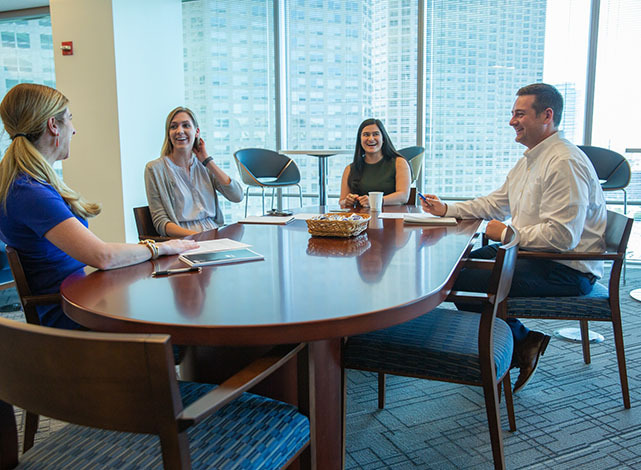 Marsh & McLennan Companies Corporate serves as an internal business function providing infrastructure and operational services to our family of companies. Through a shared vision and best practices, we provide efficient and sustainable solutions to meet internal customer business needs.